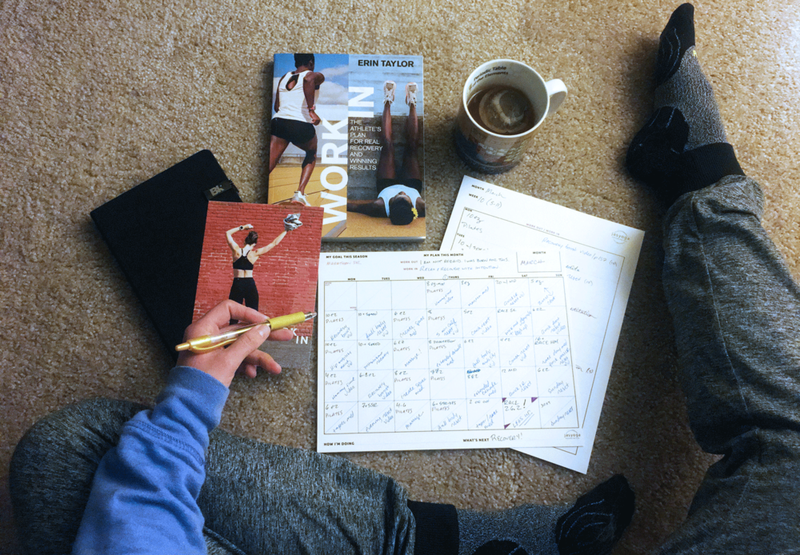 This winter we created an Athletes for Yoga Training Plan. The goal: to help you harness the power of real recovery. We designed the plans to optimize your training by making it easy for you to plan your Work INs in context of your workouts and hold yourself as accountable to your recovery as you are to all your other work. You can print it out and use it however it fits best in your training. 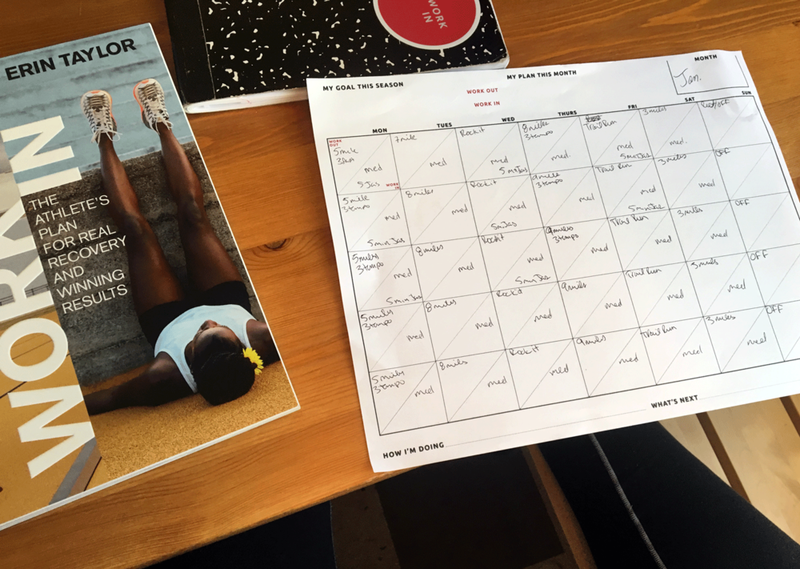 We checked in with some of the REAL athletes who are using the training plan for some inspiration for how you can incorporate the plan into your training. The overall consensus? When you commit to real recovery you will feel the difference. Beth: Ragnar, and getting faster. Michaela: To make Team USA in rowing. Natalie: Napa Valley Marathon on March 4 | Oiselle Tenacious 10-miler on April 21 | Wahoo's OC 5k on May 5. What was your goal when you started your AFY Training Plan? Stephanie: To focus on recovery and take the time to give my body some love. Stephanie plans her week ahead. Beth: Honestly, just to write down a plan really calms my brain down and I love to step back and look at it. It takes the guess work and decision making out of the equations, which gets me in trouble. It seemed clear, and totally doable. Michaela: To come to every training session ready to go, which meant doing the work between sessions to get ready. Natalie: My first marathon last year, I ran on a severely injured hip. I suffered a seven-week (!) setback smack in the middle of my marathon schedule, due to one-dimensional training on my part. Tough lesson learned. This year, I vowed to give it another go and promised to train SMART. That meant diverse and integrative training methods- body, mind, spirit. Tracy: To make sure my body was recovery and that my mind was staying focused on the task at-hand without being overwhelmed by the combo of work/training/life. Tracy Green fills in her March AFY Plan. Did you notice a difference after a planned week of WORKING IN versus when you leave it to chance? Stephanie: Yes. I actually DO the Work INs when I am keeping track of them. It helps me to also assess what my body is working through. Beth: I looked forward to the days of Work INs. 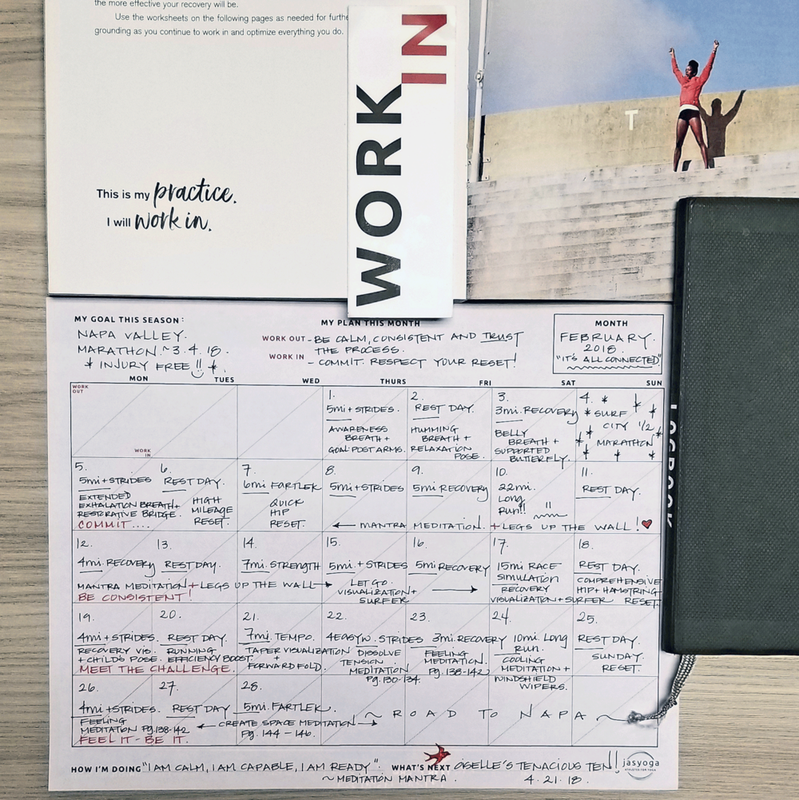 I worked harder on my work days, because I knew I would be able to sink into the rest days and get my body ready for the next round of work. Michaela: It made it much easier to actually do the Work INs when I didn't also have to decide what to do. I should have expected this — it's the same when you have a workout plan. Natalie: Without question. Not only does my training schedule benefit from working IN, my work schedule, my sleep schedule, and my personal commitments all benefit. It's all connected. Tracy: YES! It's easy to push them off when I don't plan ahead. My preferred method is to put them on my iCal with a link to the specific video or a note with the WorkIN page. I set a reminder and then I have the link right there and can access from phone, tablet, or laptop. What days are hardest to commit to recovery? Stephanie: Days when I am tired or pressed for time. After a long run sometimes all I want to do is lay on the couch. But, I ALWAYS feel better after I move my body a bit. Beth: Sunday. Which is a family day, but I always want to sneak out for a quick solo run. Michaela: Thursdays! I only have one practice so I get a slower start, and it takes a lot of willpower to get anything done that day. Natalie: It's not a day of the week that tends to be the most difficult, it's when I feel strong and omnipotent. One day of hubris, forsaking recovery, leads to several days, a splintered month, and "whoops!" — hello, unnecessary injury. Tracy: Wednesdays are a long day for me -- running, working, teaching Pilates. It doesn't leave a lot of extra time. It's a great day for the Create Space Meditation! What difference in your body and/or mind do you notice when you're consistent in your commitment to recovery? Stephanie: I feel like I know what's going on with my body. I can tell if my left hip is tighter than my right. Or if I have any imbalances or places that feel stuck. It's a great diagnostic tool for me to use. Beth: It feels like a wonderful anchor that I have. Its grounding and calming. Michaela: With consistency, I could decrease the duration of each recovery session and get the same benefits physically. Mentally, I really noticed the days when I was amped up and needed to take extra time to calm down and create space for recovery. Natalie: There is an ease and flow to life that develops not just in training, but in every aspect. Not only does my body recover faster from training, but sleep becomes more efficient. Work productivity improves. Life's daily challenges are met and matched with a greater sense of balance and ease. Like I said before, it's all connected. Tracy: An ability to actually use my hamstrings! Generally less soreness in my legs, and more calmness in my mind. Beth: The meditation ones. They are truly a gift. 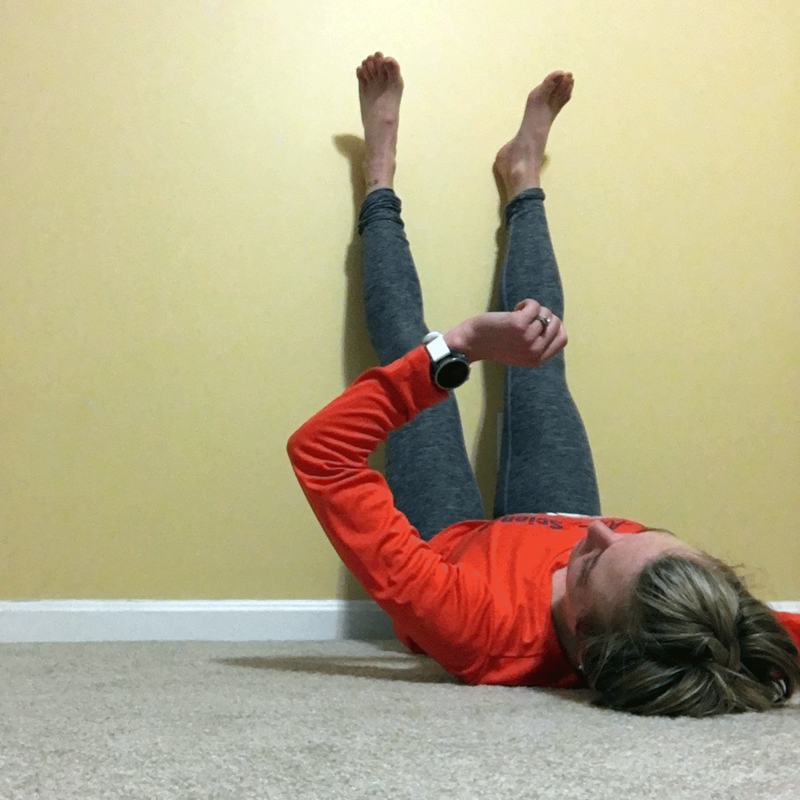 Natalie: I've pretty much memorized Comprehensive Hip and Hamstring Reset. Tracy: Probably the Quick Post-LR Reset. It works great after workouts and long runs, and I can fit it in when I'm in a hurry! Download your free Athletes for Yoga Training Plan and get started today! Share your journey and inspire other athletes to embrace real recovery by leading by example with #athletesforyoga.